I am a fresh, new female lawyer working under another female lawyer (a Partner in the firm). She gives me the most pathetic of jobs like ‘translating a one-line letter’, proof-reading letters and labeling files. Other partners in the firm have more confidence in my abilities and have given me challenging projects, client counseling & cases which (thankfully!) I have fulfilled to their satisfaction. I am upset that my immediate supervisor (the female partner) is not treating me as a colleague but as a pseudo-gopher. She refuses to allow me to meet with clients and RARELY gives me work (and when she does, it’s all those small tasks that a trained monkey could do). I find this disconcerting because while I was doing my attachment in this firm (prior to being called to the Bar), she hardly said two words to me but once the Firm decided to take me on, she jumped and requested for me to work under her. Now she’s treating me this way. I hope to clarify and fix this problem but the first thing I believe I should do is to understand why she is doing this. What do you think is motivating her to treat me this way? At first glance your Senior Boss’ actions do seem perplexing and confusing. From your perspective you are left wondering why she chose you, only to assign you menial tasks. So, you are smart to seek insight into her behavior before taking action. What is motivating her to treat you this way? Let’s think positively from the side of your Boss (the Senior Lawyer). She needs and wants a terrific Junior Lawyer to work with. You are identified by everyone in the office as a rising star. She snags you, and is thrilled with her ‘catch’. But she has issues around control, perfectionism and trust. Perhaps thoughts are going through her head like, “What if the Junior does it wrong?” “What if she misses this?” Your Boss may sincerely want to unload challenging work onto you but she needs you to win her trust. She is taking ‘baby steps’ now by giving you easy jobs. She wants assurance that you are going to attend to the nit-picky details with fanatical attention. Only when she sees that you are as fanatical in your attention to details as she is, will she feel comfortable in giving you more demanding work. Bosses like this Senior Lawyer can be extremely difficult to work for. But in my experience the fact that they give their trust so reluctantly can play to your favor. Once their trust is won, fierce loyalty (usually) follows. And the good news is that you will be thoroughly trained to do excellent work from the ground up. Aim to win her trust and everything will fall into place. Please let us know if this is helpful to you. Thanks for writing to Office-Politics. I wanted to read the advice given here because I am a very similar position. Both my boss and I have PhDs, but my boss will tell me to do things like “cut and paste the comments”, or “send an e-mail with my project to the client.” In other words, he treats me like his glorified secretary, and also gives me tasks that a monkey could complete. Anyway, one things has solved the problem (and it looks like the original poster may have the same opportunity) – if other people give you challenging, interesting assignments, take those and try to give something back that really exceeds expectations. Perhaps completed at a very fast pace, or learn the bits and pieces from the pros in your department – whatever you turn in may not only exceed expectations, but the quality of work that colleagues may be turning in. I’ve done that and noticed that the supervisors of my boss now give me projects (and have told my boss not to give me any work for the next few weeks–and I am told to do project that they assign me instead). I lalso earn much more from these supervisors as it is — so for now, I prefer this situation. I know my boss will ask me to complete some secretarial task again – don’t know what I will do at that time (and if anyone else has something useful to post that has worked for them – please post). However, for the short term, this approach works well for me — at least I get challenging projects/and my schedule re-arranged so that I do not have to work with the guy giving me ridiculous tasks. Good luck – I am glad to know that other people are in the same situation at least. In a not so positive scenario, she could have already made a judgment about the junior employee and be engaging in her own attempt at constructive discharge precisely for the same high quality standards you mention. She could have decided the junior employee is unworthy and is trying to make her quit. Since the employee is a lawyer, she could document each menial task given, the date it was assigned, and the amount of time it took to build a case for suing for constructive discharge if necessary. One way to combat this is to increase your visibility with the other partners so they know you do good work as someone previously mentioned. They will then be less likely to go along if your boss tries to convince them that you have got to go. Get the menial tasks done as quickly as possible and volunteer to do extra work for the other partners. I would not say anything negative about your boss to anyone and just concentrate on doing good work. You cannot be aware of every possible connection in a social network and what you say can get back to the person you are talking about. People learn by doing. If your job is not challenging, you are losing valuable time for learning that employees in the same company have. With a large part of your day wasted by being forced to do work that does not allow you to learn, you are at a disadvantage. The situation you are in can turn into a self fulfilling prophecy. Your skills are expected to advance year over year. By wasting so much time on menial work, your skills may not develop as expected by the company especially if you get discouraged. At that point, your boss could point out that you are not providing enough value to the company and would have a better chance of convincing the other partners that you should be terminated. I would try to get assigned to a different partner as quickly as possible. I am an attorney and would like to contribute to this piece. This new attorney should recognize that although she passed the bar and have been to law school, she would have to to earn the confidence of the partners and clients. This generally takes about 5-7 years, which is why the partnership track is that long at most firms. You can’t expect to be exposed to large corporate clients right out of law school, especially at bigger firms (unless you are dealing with the general public as your client). You have to put in your time and learn the practice of law before you are trusted to handle bigger things. I’m not a lawyer, but I experienced the same sort of thing. I think outsiders (not my boss) saw my growth faster than he did. I don’t think he wanted to admit that I picked things up as fast as I did, or he wanted the job to be more deep/ complicated than it is. He was also a perfectionist without having a clear idea of what perfection IS, so there was no way for me to know ahead of time. I.e. he had unique “stylistic issues” which were sometimes not any more “right” and were occasionally wrong than my phrasing/ spelling. Winning his trust would have been a matter of putting the time (and the ego massaging) that others didn’t need. I vote: run away. Wow…I cannot believe I found a scenario so close to my own. 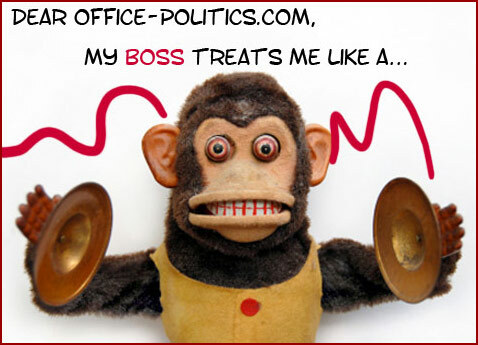 Very similar in terms of other Senior managers & Execs interfacing with me & treating me as an equal…but not my boss. I’m not a lawyer but a corporate engineer in communications. Unfortunately, I feel more like an administrator than an engineer when dealing with this guy. He has a very annoying habit of eliminating any debate from the discussion. At the end of the day…I’m left with deciding whether I care to argue with him (which, even if I win, will not benefit me as I’ve seen in the past) or whether I just leave it be as this is the guy these people wanted me to work under. The most frustrating part of it is that my boss, my boss’s boss, and even his boss ALL made a point to get me here even after I refused the initial offer. I got a phone call directly from our Executive boss (who we all report in to) to try & sway me to come there. I only went to this company because I felt like I would have a highly relevant & meaningful role and that I would be working with very bright & rational/interesting people. Money wasnt the biggest concern at all for me (in fact…if you throw in the higher taxes here it was probably a wash at best). Work started out very slow…and just hasnt picked up significantly enough for me. Yes, at times I’m given very important topics but not enough for somebody of my personality. I’ve asked if I can help, volunteered every time I could, and ALWAYS deliver above & beyond when my boss (or anybody here) asks anything of me. But every time I have a discussion with my direct boss I just want to punch him in the face because he “thinks” he has something figured out & he doesn’t. He lacks knowledge on a lot of subjects but what he lacks in knowledge, he makes up for in hubris. Funny…I never thought I would be one of those disgruntled people who would complain that would be so annoyed by my boss that I might look elsewhere. I always thought doing a great job & acting with integrity would get me respect. Your Scenario matches with mine. I am an Electronics Engineer and a CCNA. Four month ago , I was chosen out of 200 Engineers . I was assigned to work as a support Engineer for ATMs and other Kiosks. They sent me abroad for Training. After my re-arrival, I instantly handled all the Devices of my concern. As my company had just started to supply ATMs & Kiosks, there were less machines to look after. So most of the time I was at my Office Desk . After few days , my boss started giving me substandard tasks like Typing the checklists and Depositing the Cheque. One day he ordered me to lift other machines from the Godown to the testing area. At first I obeyed his command. But as I started Lifting it, a sense of reality struk within me. What am I doing? Whats my Job Description? My parents educated me and made me an Engineer to see this day? To see their son carrying things like a Labor? Wheres my Dignity? I am an Engineer not their servant. So I went straight Up to the Boss and Told him not to make me Carry those Stuffs. To my surprise , he scolded me as if I had said Something horribly wrong! After that incident, I thought that My boss has understood my words and he wont ever ask me to do such things. But again after some days he started to ask me to go to banks, deposit cheques as well as carry the machines. I am on a 2yr contract. So they have seized my certificates. I cannot resign from that company for atleast 2 years. I am helpless. Its been 4 months now. I have lost my self respect, I am depressed. Apr 11, 2008: SOB Business Cafe 04-11-08 - Liz Strauss at Successful Blog - Thinking, writing, business ideas . . . You’re only a stranger once.